Sri Sri Guru Gauranga Gandharvika Giridhari in a festive outfit. Srila Govinda Maharaj comes down in the morning. 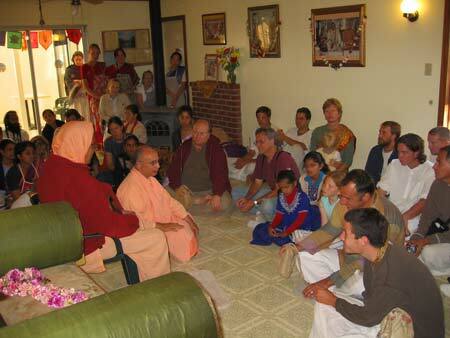 Devotees are uplifted by the glorification of Srimati Lalita Sakhi.